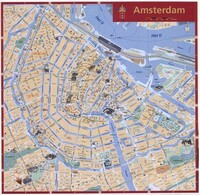 Large map of Amsterdam with the monuments. Map of the center of Amsterdam with the list of stations and buildings for boat trips. 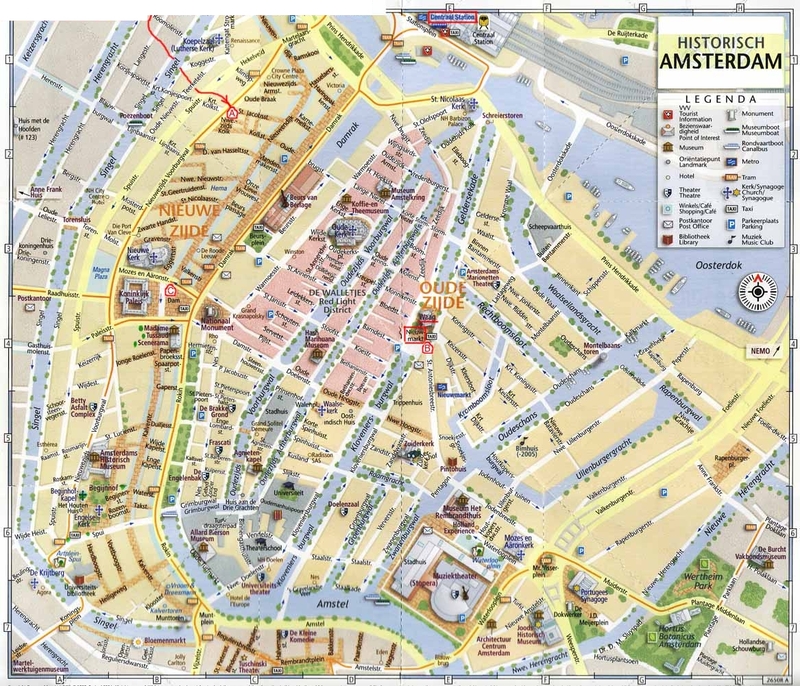 Detailed map of Amsterdam with street names. Map of public transport in Amsterdam, metro, tram and train. Map of train stations in and around Amsterdam. 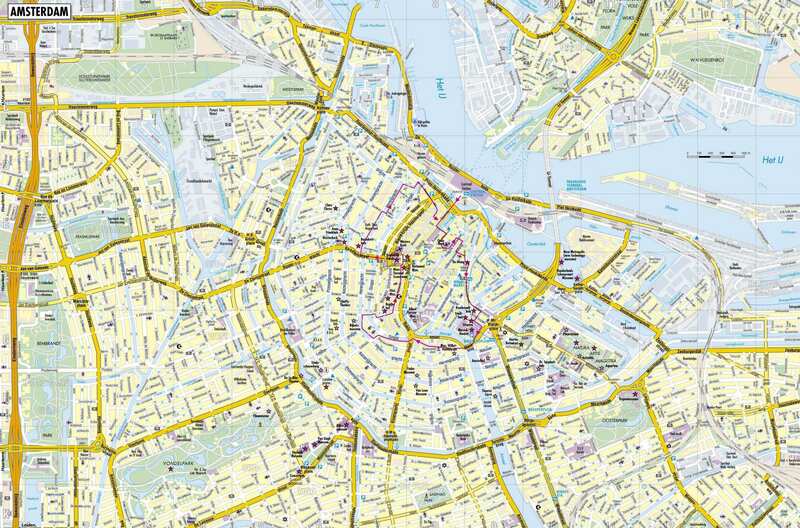 Detailed map of Amsterdam city center with the names of streets and parks. 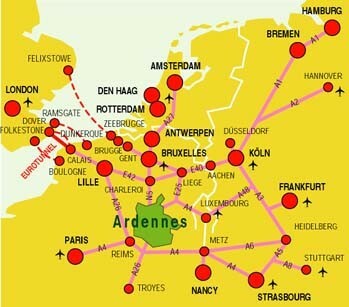 Map with different means of access in Amsterdam, with highways, airports. 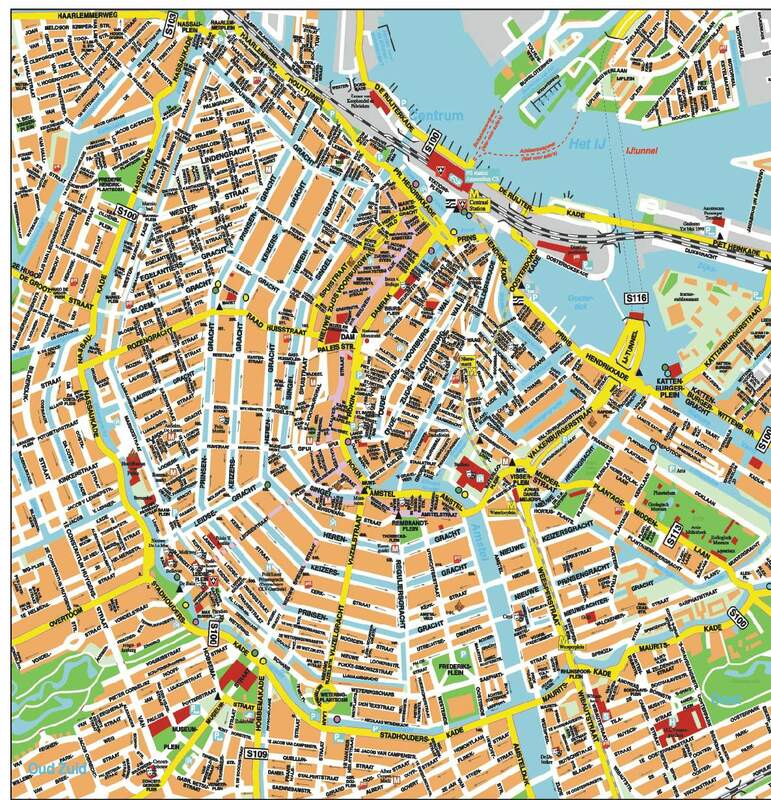 Ward map of Amsterdam with a color legend. 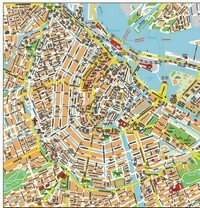 Simplified map of central Amsterdam. 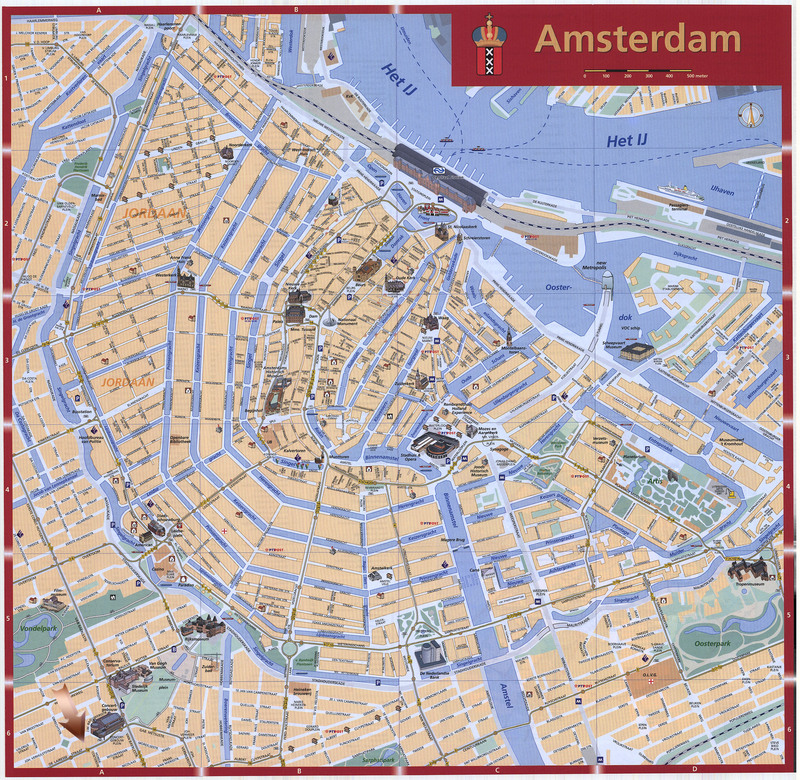 Tourist map of center of Amsterdam with museums, theaters, the libraries.